Martin Shkreli proved once and for all that he is his own worst enemy. After taunting his social media followers to pull a hair from former Secretary of State Hillary Clinton while on her book tour, the polemic executive found himself back in court with his bail rescinded. And, in the process, he managed to spark a legal debate about First Amendment hyperbole vs a meaningful threat of harm. The BERN IS BACK on the national stage – proposing Medicare for All. The Journal of the American Medical Association reports that it costs < $1 billion to develop a drug. Oh, and one-third of America’s credit reports have been hacked. It’s too late to go back to bed, so please read on for this Monday edition of The Week That Was. Last week, a group of 17 Democratic senators, led by Senator Bernie Sanders, rolled out “Medicare for All” legislation, which seeks to replace the current U.S. insurance model with a single government-run plan that would cover all Americans. As proposed, the benefits would be more expansive than what is offered by most single-payer countries. Opponents of the proposal, including some Democrats, have called for the nonpartisan Congressional Budget Office (CBO) to “score” the bill to provide a cost estimate. Critics also argue the bill does not include the tax increases needed to fund the program. Republican leaders and President Trump all said the bill is unlikely to pass. Pushing back against drug pricing is an issue that polls well on the right and the left! Census data shows the median household income in America is just above $59,000. It’s a good number to remember when anticipating how the price of your medicine may be received. This week, FDA Commissioner Scott Gottlieb announced that the FDA will release new guidance intended to close a “loophole” that grants orphan designation for pediatric populations suffering from a non-orphan adult disease. This designation has caused “unintended conflict” with the Pediatric Research Equity Act and resulted in allowing pharmaceutical sponsors to bypass clinical trial study for pediatric sub-populations. Commissioner Gottlieb said in practice the loophole contravenes Congress’s intention with the Orphan Drug Act – which is to encourage more pediatric study; not less. Meanwhile, pharmaceutical research was attacked from a different angle, as a new Journal of the American Medical Association (JAMA) study of 10 cancer treatments suggested that the research investment per drug is much lower than the industry’s regularly cited figure of ~$2.7 billion. R&D cost is a real factor developers must consider when balancing the needs of a business …BUT, in the fight for hearts and minds, messaging about R&D is no panacea. Why? R&D costs are all about us and not about patients. Our advice: don’t focus on research costs to defend drug prices. Instead, companies should get specific about the actions they take to help patients, families and physicians – therapy and beyond. This can include physician education, community support programs, better patient resources…the list goes on! Last week, credit reporting company Equifax revealed a cybersecurity breach that jeopardized 143 million U.S. consumers’ personally identifiable information. And that was just the tip of the iceberg. Word got around soon after that three Equifax officials, including the CFO, sold nearly $2 million of the company’s shares days after the breach was actually discovered back in July. Equifax then launched a cybersecurity response protocol, including “Cybersecurity Incident & Important Consumer Information,” social media responses and a video statement. The irony? You have to enter the last 6 digits of your Social Security Number to determine if your information was jeopardized and enroll in their complimentary credit file protection product “TrustedID Premier.” No thank you?! 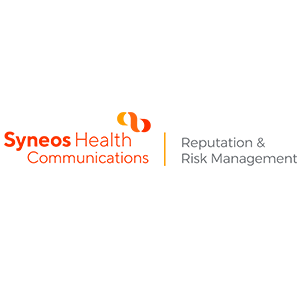 Cybersecurity breaches make consumers feel vulnerable, and as our past newsletters have reported, they are an acute, continued risk for healthcare companies. Breached information could mean exposing a patient’s sensitive disease status or treatment information. As we forge into this brave new world, healthcare companies should proactively communicate their efforts to protect patient information. Should disaster strike, communicate updates consistently across all channels and use sensitive and genuine language. Avoid robotic, teleprompter-like delivery that EQUIFAX used at all costs!